The FedRAMP Ready Exterro Orchestrated E-Discovery Solution enables you to overcome common challenges of insufficient manpower, insufficient time and increasing data volumes, empowering you to optimize processes and respond quickly to FOIA/PRR and other e-discovery requests. 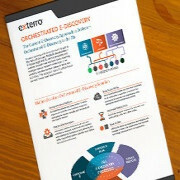 The FedRAMP PMO has evaluated Exterro’s E-Discovery and Legal Software Solution. Based on the outcome of this evaluation, the Solution has been approved as FedRAMP Ready for Agency Authorization. Streamline and automate your e-discovery process with advanced e-discovery technology that spans the entire EDRM. Orchestrate the entire FOIA / PRR process from request receival (via public-facing portal), search, review and delivery of requested documents. Open Architecture – Seamlessly integrate with existing technology investments for faster, more efficient execution of critical e-discovery tasks. Access all Exterro e-discovery technology, from identification through review, via FedRAMP-certified Cloud Service Providers. 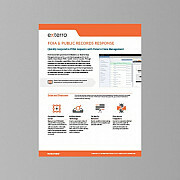 Download this product brief to learn how Exterro Data Management is built for streamlining activities around FOIA / public records requests pre-production. 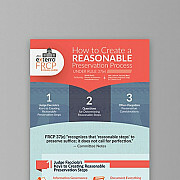 In this FRCP guide, you get reasonable preservation steps from Judge Facciola, questions to ask for determining reasonableness, and preservation considerations.